100% of the Donations stay here and are spent on the trucking. No washed out percentage. No administrative Fee. THIS IS TIME SENSITIVE AND URGENT, PLEASE ACT TODAY! California Fires see more below…………………. Thank You CBS 8 of San Diego, California for there support. 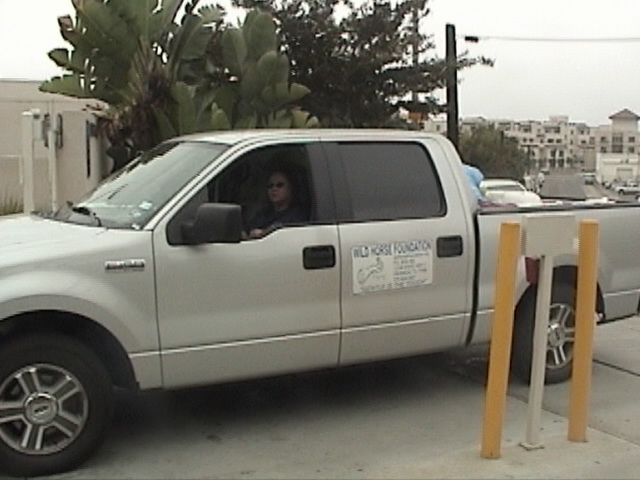 Our 1st of many loads to come from Texas to La Jolla Reservation. CBS 8, San Diego, Cal. The Wild Horse Foundation has spent several days deciding on how to help the most and with this in mind, it was a hard decision. The President, Executive Director and the Board of Directors were deeply sadden when the call came in about the La Jolla Indian Reservation and their loss. It is our goal to make sure that these wonderful people get their lives back in order in everyway possible and we are privileged to help them. Never have we seen so much damage in such a concentrated area. On November 6, after a full day of delay, we were able to deliver the first of many loads of hay to the reservation to help the families out with the livestock including the horses and cattle. Your help is needed to raise $33,600 to truck over 450,000 pounds of hay to California. 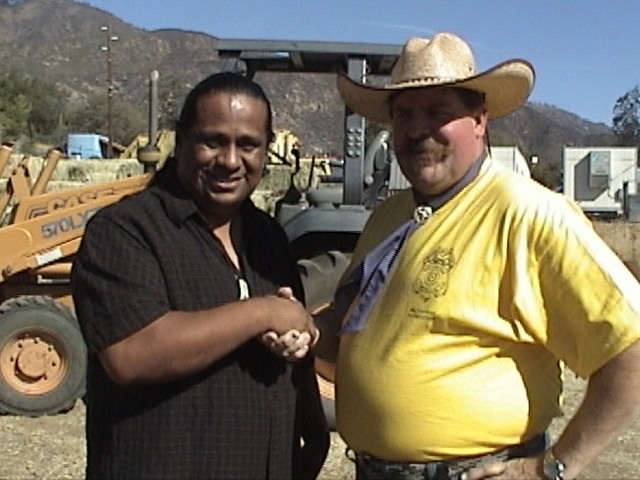 This hay will be going to the La Jolla Indian Reservation to help feed just over 200 livestock for the winter. While this will be just a boost for them it will give them the start it will take to get them on there way. We NEED your Help! Make a difference. The Wild Horse Foundation is DONATING the HAY, FREE, NO CHARGE, we just need to get the money raised to get the hay there. We need your help. Bircher Exterminating Service out of Phx, AZ. has agreed to help with the certification of the hay for the Department of Agriculture at no charge, another great company with a big heart, again they helped!Admiral Merchant Freight Lines out of Minn. Mn. has reduced the fees on trucking by there support, this is a huge saving you can’t imagine. These folks are great. Below Zero Trucking, Anchorage, Alaska took the first load of hay for us for less than a bottle of aspirin, it was a choir to make sure we did everything by the book. Everything. Stan’s the man, patience is a virtue and he’s got it. Stidham Trucking, Yreka, Ca, called Wednesday afternoon and said they had a truck in San Antonio, Texas and wanted to help. 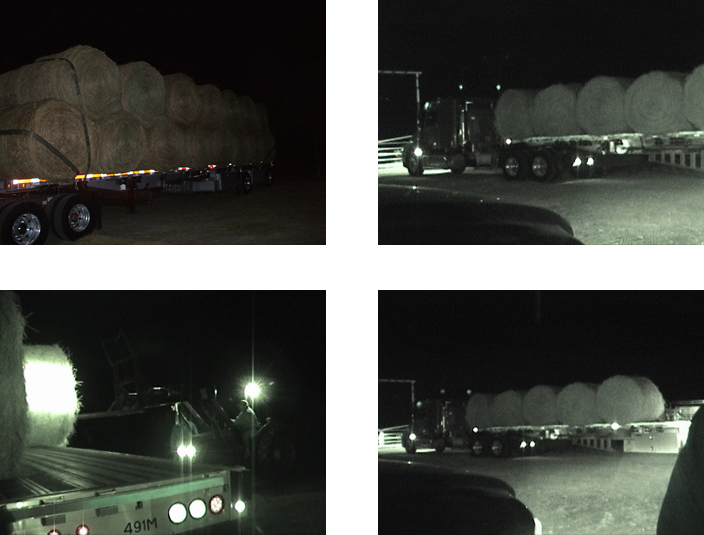 I loaded the truck from 10:30 pm till 1:00 a.m., and will arrive at La Jolla Saturday morning, 17th with 54,000 pounds of hay, 27 tons. They donated their truck and waived the fees. THANK YOU! Wild Horse Foundation Executive Director Ray Field unloads with SD Humane Society SPCA Hiede at the shelter for distribution later by volunteers. ((((((MUST READ))))))) It’s been my over 30 years of volunteering that has taught me to stand up and help in many situations. If you want to help, feed these animals even by going out to help take a ride with these 2 magnificent people, don’t be afraid to go out and ask. Even in times of need is when we as citizens of this great nation should remember this is our land, these are our people on our continent in our country. We must take care of each other or no one else will. don’t wait till it hits your door then you’ll wonder where are those people when I need them. This wonderful Indian couple were loading up the truck of square bales to go feed the animals of the homes on the reservation that were vacated due to the fire. The wife had a list of homes, that had, dogs left in them, birds that needed feeding, horses and cows. VOLUNTEERS ARE WHAT MAKE AMERICA PROUD, BE ONE TODAY! The deadly southern Santa Anna Fires have causes millions of dollars of damage in homes but not included in this is the damage to the large pet population. As we speak, literally, thousands of pounds of hay that would have been to last months now last only days have been depleted. (DONATE NOW) you may down load and fax your credit card donation in secure. CONTACT us for more information immediately.